Conflict over issues such as climate change, toxic waste and wilderness provides a key site for examining the shaping and negotiation of public debate. 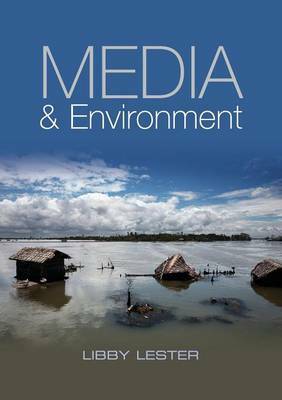 This book offers a new understanding of the relationship between media roles and environmental futures, and of the ways in which news works to influence environmental decision-making across boundaries and over time. Drawing on a range of international examples, Dr Libby Lester invites readers to develop a nuanced understanding of changing media practices and dynamics by connecting local, national and global environmental issues, journalistic practices and news sources, public relations and protests, and the symbolic and strategic circulation of meanings in the public sphere. Media and Environment argues that news maintains a central role in environmental politics. As such, it asks about our understandings of place and community, of local responsibility and global citizenship, and how communication as a society on these crucial issues affects our lives, now and into the future.